Parks and Recreation actor Nick Offerman shares his humorous fulminations on life, manliness, meat, and much more in his first book. Growing a perfect moustache, grilling red meat, wooing a woman—who better to deliver this tutelage than the always charming, always manly Nick Offerman, best known as Parks and Recreation’s Ron Swanson? 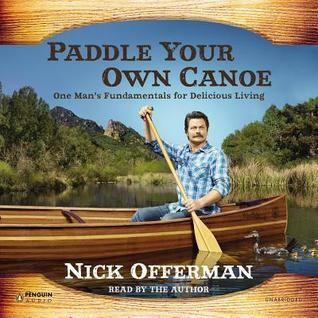 Combining his trademark comic voice and very real expertise in woodworking—he runs his own woodshop—Paddle Your Own Canoe features tales from Offerman’s childhood in small-town Minooka, Illinois—“I grew up literally in the middle of a cornfield”—to his theater days in Chicago, beginnings as a carpenter/actor and the hilarious and magnificent seduction of his now-wife Megan Mullally. It also offers hard-bitten battle strategies in the arenas of manliness, love, style, religion, woodworking, and outdoor recreation, among many other savory entrees. If you are a fan of Parks and Recreation and Ron Swanson, this is a MUST read! I listened to this on audiobook which I think is the best way to go for these types of books! Nick Offerman's outlook on life is so incredibly fantastic, I loved this book! He does jump around quite a bit through different times in his life which got a little bit confusing at times, however he is still an awesome person and a great story teller! 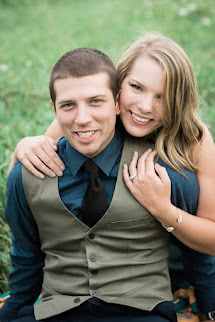 We are just a couple of book lovers who love to share their love of books with the world! Visit Jamie-Leigh's profile on Pinterest. Under-Hyped Books Readathon - Giveaway!